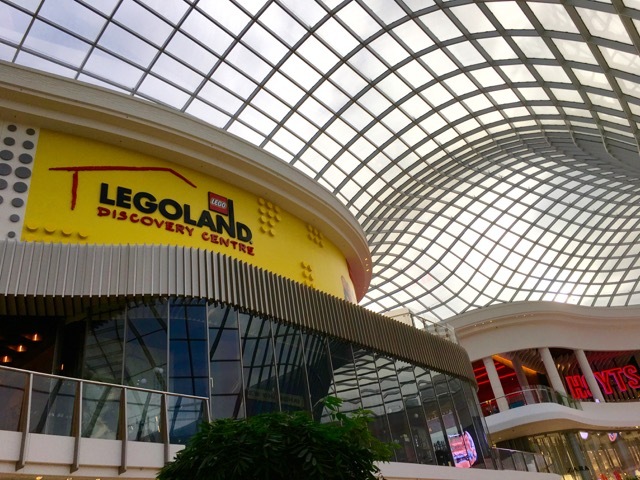 Last week, my little gang and I finally visited the Legoland Discovery Centre in Chadstone, Melbourne. If your little ones are big Lego fans they will love it. My two love playing with Lego so it was exciting for them to be there and experience the centre. Here's what we thought about it. 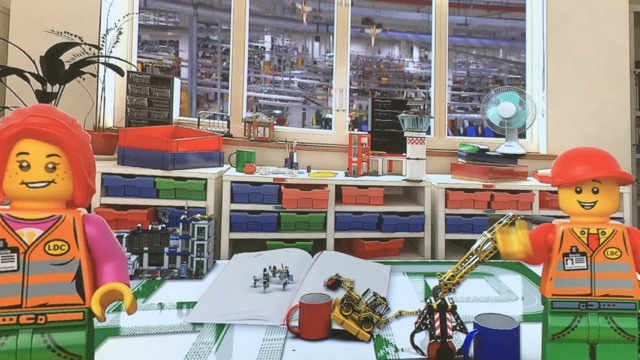 After being received at the colourful entrance, we started with the Lego Factory Tour video and had a play building our own little figurine on the screen. Little Miss was happy listening to the video and playing along and picking up her Lego Dublo piece at the end of the little Factory Tour. We then headed on the Kingdom Quest Ride where kids can zap skeletons and trolls to save the princess. Little Mister stayed with my sister but Little Miss jumped on the ride with me and loved it. 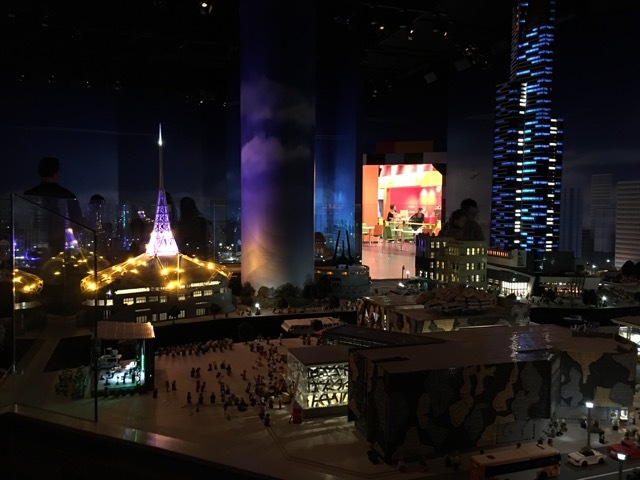 We then made our way to Miniland, our very own Melbourne Miniland made of 1.5 million Lego bricks! Visitors can admire Melbourne icons during the day or night including some hidden Star Wars figurines. 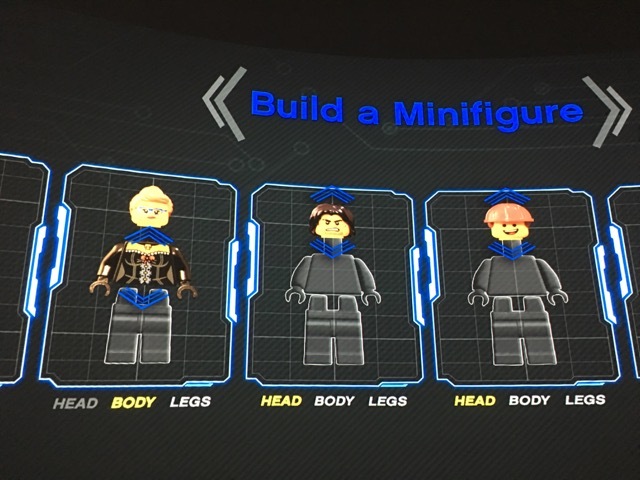 You can also interact with some of Miniland's buildings and people. Kids can climb in a tube and get amongst Miniland and see how the popular buildings and structures have been built. Next up is the Café and the Merlin's Apprentice Ride. Little Miss was not keen on the Merlin's Ride as she is not a fan of turning rides in general so we had to skip it but it looked interesting and other kids seem to be enjoying it. We instead headed for the Lego Friends section where we spent a good amount of time. Little Miss is almost 5 and little Mister is 1 and a half and they both enjoyed the space and making things out of Lego. They also loved the Lego Duplo Farm area which is great for kids 2 to 5 years which has giant blocks and slide. There is also a quiet room next to the Lego Duplo Farm where parents and children can use if they wish during their visit. Little Miss then had a play in the Lego City Soft Play, little Mister wasn't old enough and because parents cannot go in the area either, I wasn't able to go in with him so we just waited until little Miss finished. There is also a Creative Workshop area where visitors can pop in at designated times and take part in creating different things while learning from Master Model Builders. We weren't able to attend a session as we had to leave for little Mister's nap but will have to try one another time. We then created our own car in the Lego Build and Test and raced it down the track. We definetely need more practice ha! The Eartquake Table was also a fun area to create a Lego tower and test its strength. 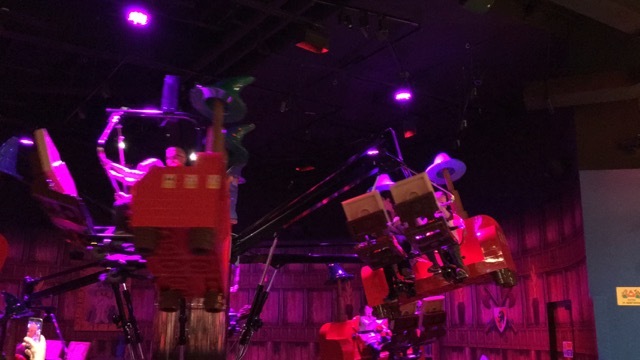 We then made our way to the Lego 4D Cinema but did not stay as little Miss found the sound in the cinema very loud so made our way through the Miniland and to the Lego Shop for some obligatory Lego of course! 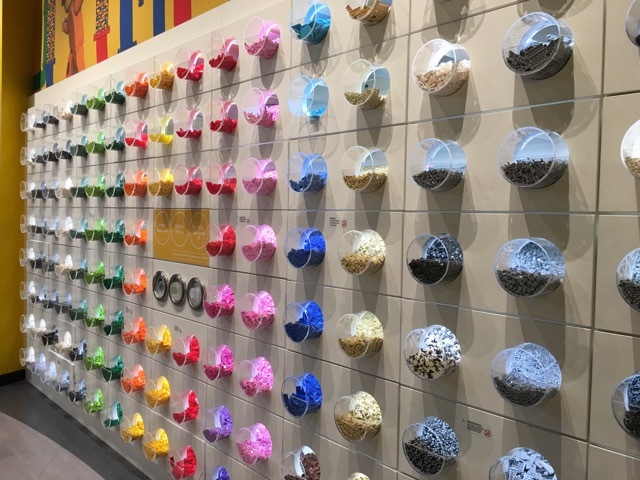 Overall, we had a fun time at the Legoland Discovery Centre in Melbourne, there are so many areas where kids can create, learn from and play with their favourite little brick! To make the most of the experience, we believe the centre is best for kids aged 2 years+. See our tips below for more info. Go early in the morning as it opens. Go during the week if you can to avoid the weekend crowds and try to avoid school holidays as it can get quite busy. If you must go during the holidays, go early. The center is best for kids 2 years +. Tickets are $32.50 for adults and $32.50 per children, kids aged 3 and under are free. Children must be accompanied by an adult to visit and adults must be accompanied by children to visit. Book your timed spot online to avoid the queues. Once you are in you can stay as long as you want. We spent 2 hours as we had to leave for Little Mister's nap but we could have usually spent another hour or more building and exploring more. Avoid lunchtime peak hour. Allow 2 to 3 hours in the centre to make the most of it. There is food inside the centre (fries, pies, popcorn, donuts, cakes, banana bread, fruit etc). Outside food is not allowed however I did see parents with their own snacks. 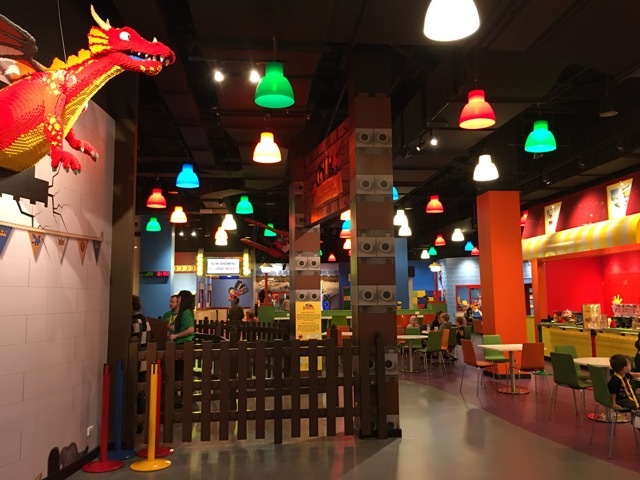 Children who are sensitive to noise should avoid the Lego Factory Tour and Lego 4D Cinema areas. You can bring a pram with you if you want, head to the lift and go to the last floor L1 (from memory) to get to the front desk with the pram. Park near Target and Hoyts for best parking. If you are visiting from interstate and staying in the CBD, you can book the free Chadstone shuttle bus which can take you there. Check the Legoland Discovery centre's website for more info. 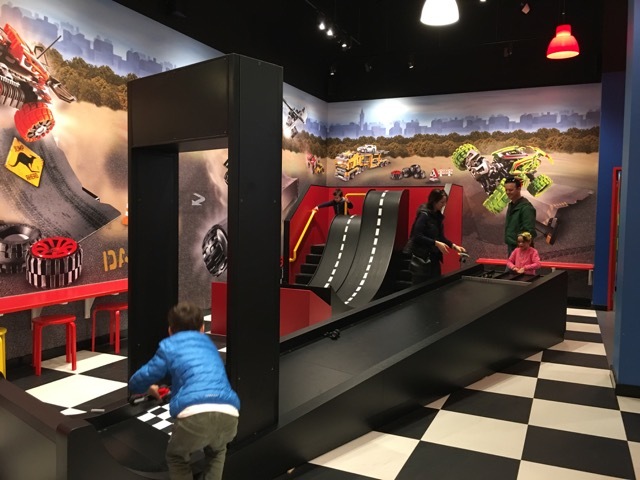 For more information on Legoland Discovery Centre Melbourne, head to their website.